Oregon has been known for its vast array of minerals in the zeolite suite. Many of the more recognized locales have been depleted by rockhounds over the last few decades. Luckily, I have found a few NEW locations producing choice zeolite specimens! Some of these specimens can be seen below! 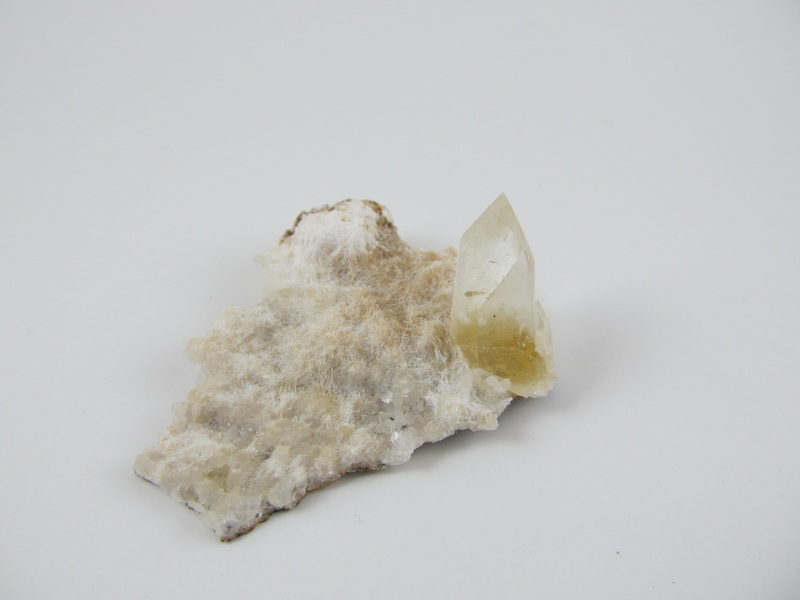 Calcite (2 generations), Mesolite, etc. NEW FIND!!! 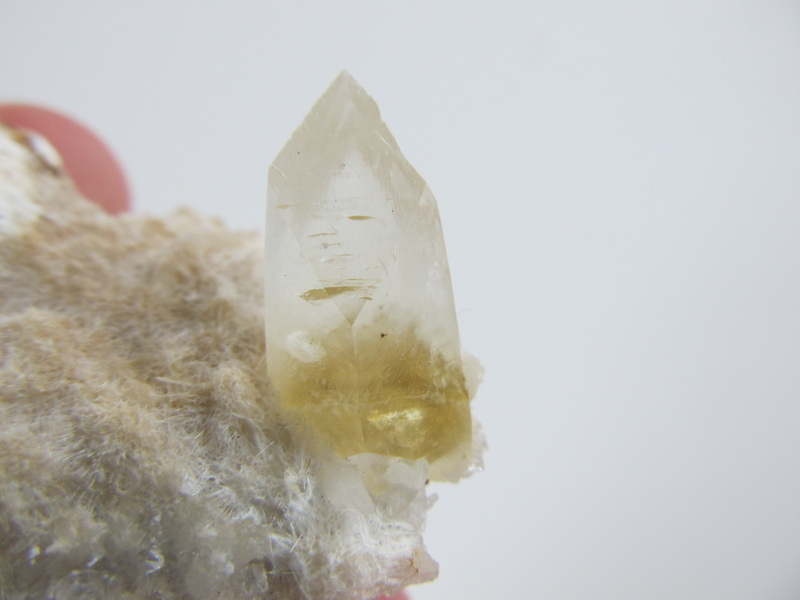 2015 Beautiful sharply terminated optical calcite with yellow phantom. Yellow portion is fluorescent. Many exhibited wild growth interruptions/habits and this is no different. There is an included zeolite (stilbite ?) 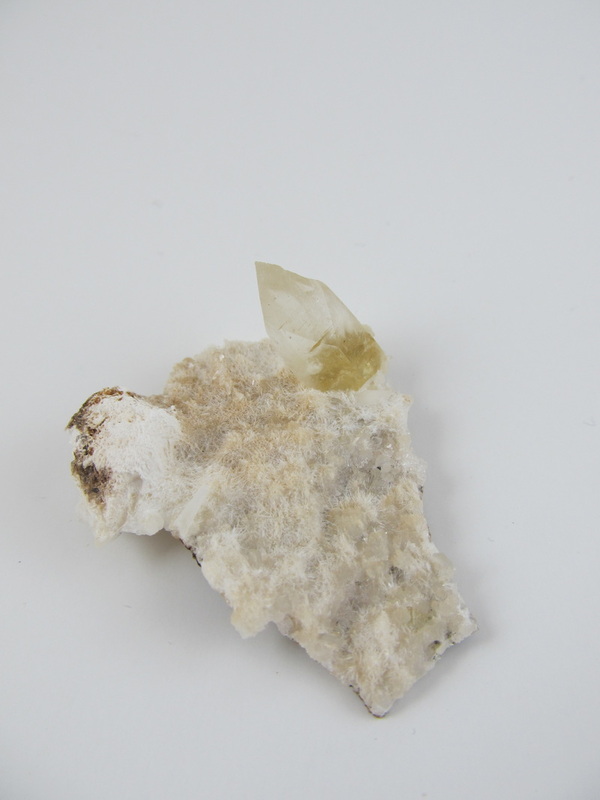 which grew on the original yellow calcite and was then overgrown by the clear portion of the calcite which appears to have mesolite hairs included within!! A superb rarity from a limited find. Don't miss out on this aesthetic specimen from the Oregon underground!! !